Pablo Barcelo is a Performance Engineer and Software Developer who works at Abstracta. Pablo´s main areas of expertise are JMeter Scripting, continuous integration setup and software development applied to performance tests. HTTP/2 is the future of browser communication. 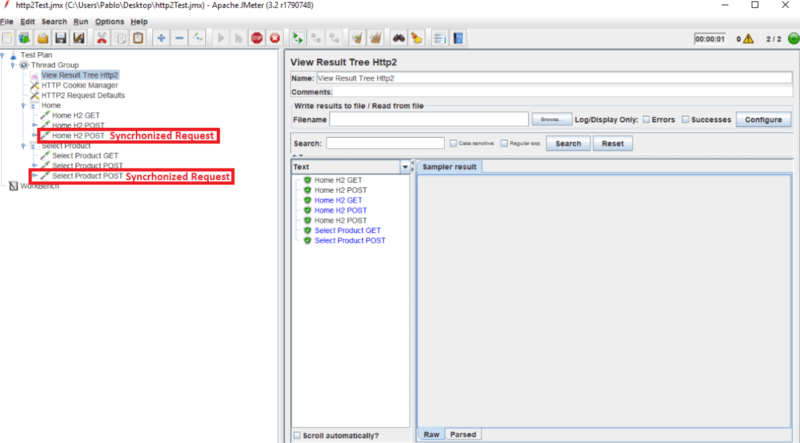 But until now, Apache JMeter™ was unable to support load testing this method of browser communication. Now, a new HTTP/2 plugin has been developed with the support of BlazeMeter, by BlazeMeter Labs. This blog post will cover everything you need to know about how to use it. Based on Google’s SPDY, HTTP/2 is the latest HTTP version. Since HTTP/1.1, the previous HTTP version, was designed more than 20 years ago, it is unable to handle today’s growing data, resources and evolving technologies. HTTP/2 answers these disparities and improves webpage load time, latency and web security. This browser performance improvement is done by implementing methodologies such as multiplexing, server push and file prioritization. Currently, most major browsers already support HTTP/2, including Chrome, Chrome for Android, Firefox, Safari and Edge, as well as some well-known servers such as Apache Server or Tomcat. After that you can add timers, assertions, listeners, etc. Response - The number of milliseconds to wait for a response. Note that in this sampler we don’t include the field for the connection timeout since HTTP/2 has an automatic initial connection setting in JMeter, and all samplers use this same connection. This is one of the cool features of HTTP/2. In the screenshot below, you can take a look at a HTTP/2 Script, where two requests have been set as a Synchronized Request. 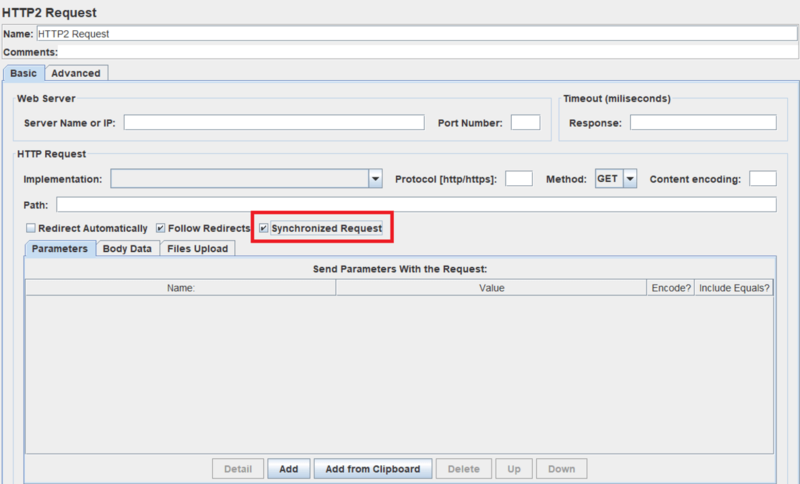 So, when these synchronized request are sent, JMeter will block the execution of the thread until all previous responses have arrived. That’s it! 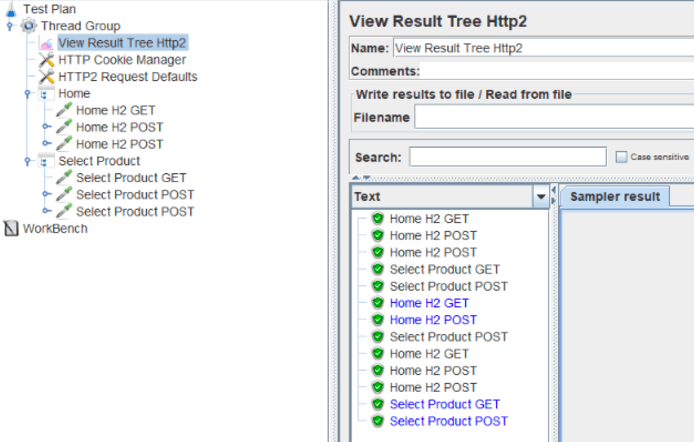 Now, you know the most complete and easiest way to load test HTTP2 using JMeter.